Perfectly located in downtown Taipei, Taipei Main Inn is directly across from Exit Y13 of Taipei’s Main Station, servicing the Red and Blue lines, making it very easy to get to anywhere in the city quickly. 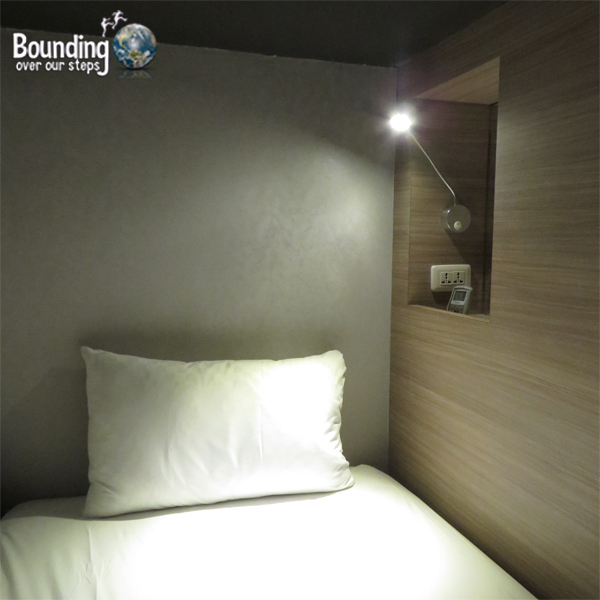 Compared to other accommodation options near the Main Station, Taipei’s Main Inn offers the best value for your money. Dark and lots of stairs. After pushing the front door open I was met with a dark flight of stairs. I climbed them to find a very friendly smiling staff at the top. Check in was a breeze and because I was there before the check in time of 3pm, they happily held my bag for me. When I came back, one of the staff members, Derrick, carried my backpack for me an additional two flights to my room. Anytime I passed a staff member they always greeted me with a smile and a “hello”. I stayed for four nights in a 4-bed all female dorm with an en suite bathroom. Each bed comes with its own locker, which was big enough to fit my entire backpack in, as well as a small individual cubby with a mirror, an outlet and a bright reading lamp. My favorite feature of the beds is that they have a thick curtain that you can draw closed anytime you want a little privacy. The windowless room keeps it perfectly dark at night, making it possible for a deep sleep, uninterrupted by the morning sun. 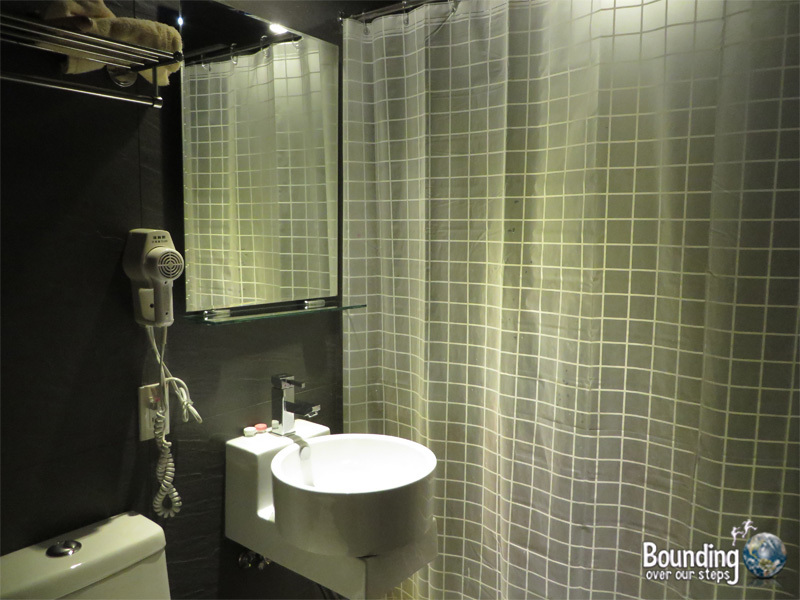 The bathroom, as well as the rooms, are cleaned daily. It is spacious and has very good water pressure in the shower. 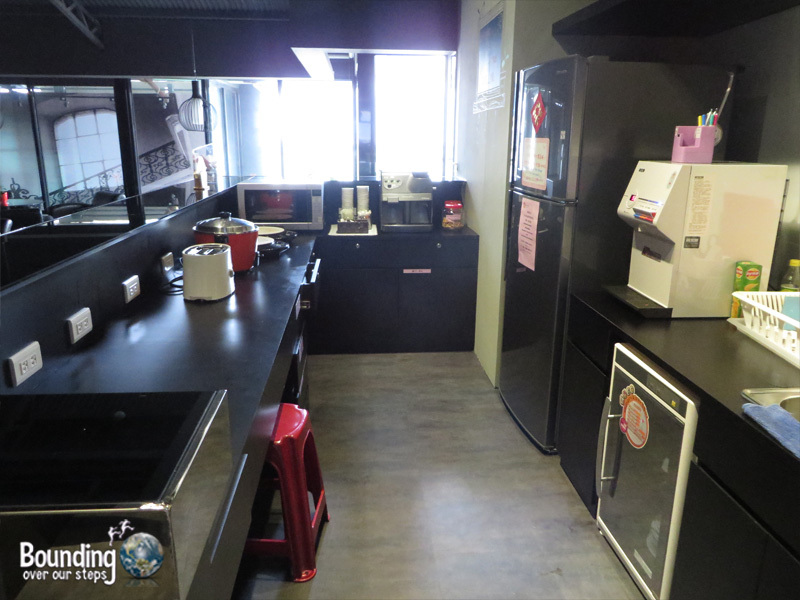 Although Taipei Main Inn is a hostel they have the amenities of a hotel, providing everything from a hairdryer to laundry service to strong free wifi. Shampoo and soap as well as a little towel are provided, along with slippers, a bottle of water and a toothbrush and toothpaste. There is a lounge on the 6th floor, open to everyone, that includes a kitchen, a large flat screen TV, lots of tables and chairs and a bathroom and laundry room off to the side. The kitchen has a large fridge, free water dispenser, toaster, microwave, rice cooker and several additional cooking devices. Dishes and cutlery are for everyone to use. This area is always kept clean. 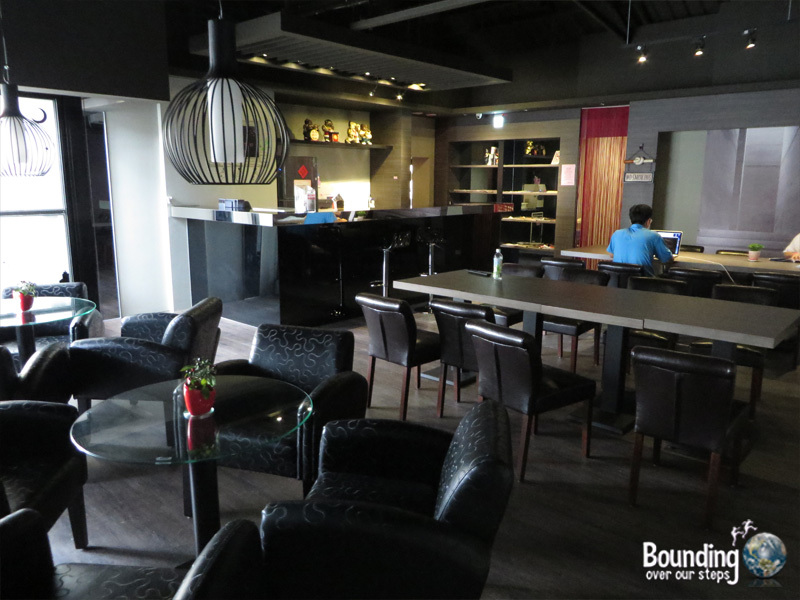 All in all the Taipei Main Inn is the nicest hostel at which I have stayed and I would gladly stay there again. Thanks for sharing. Will be staying here , this weekend! Which floor is the female dorm? I understand there is no elevator in this building, is it tedious to climb up to 6th floor?